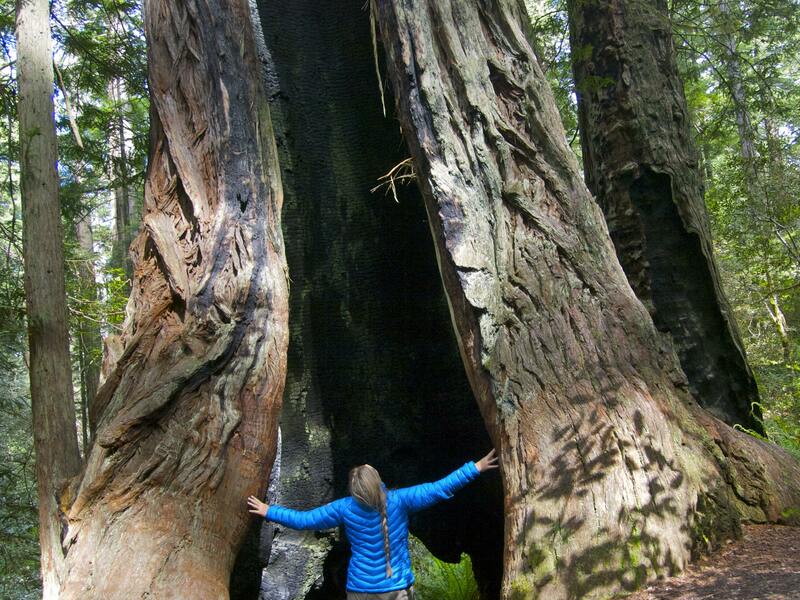 Photographing big trees is always a challenge. It’s almost impossible to fit sprawling old sentinels into a frame in a way that does justice to their size or majesty. The first time I visited Redwoods National Park in northern California, I had a dinky point and shoot film camera and all I could think to do was aim my camera skywards. I ended up with a dull roll of tapering tree trunks. Oh well. 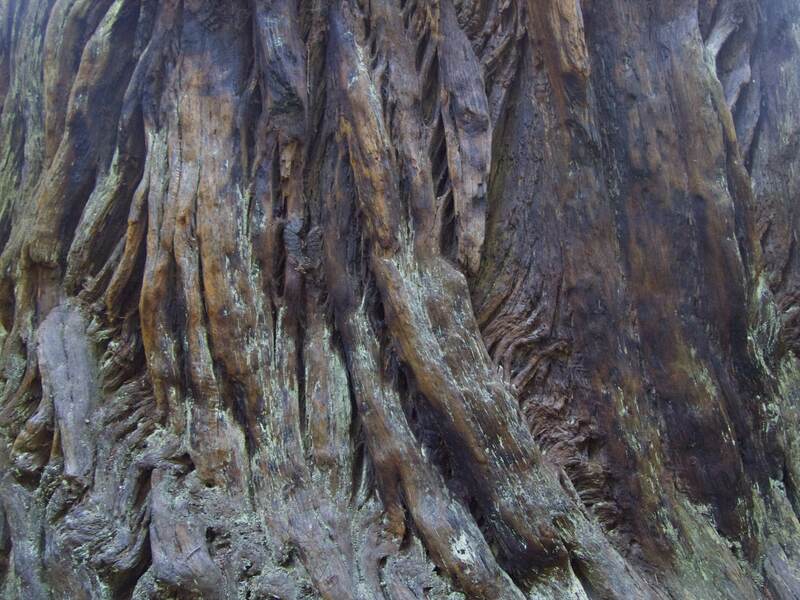 Redwoods are practically immortal – they cannot be killed by fire or disease – they have no need for photographic indelibility. This time visiting the Redwoods, I was better prepared, armed with my trusty Olympus E3 and seven years of daily practice at capturing life through a lens. I avoided the tired shot of trunks pointing at the sky and instead tried to find the faces in the trees. 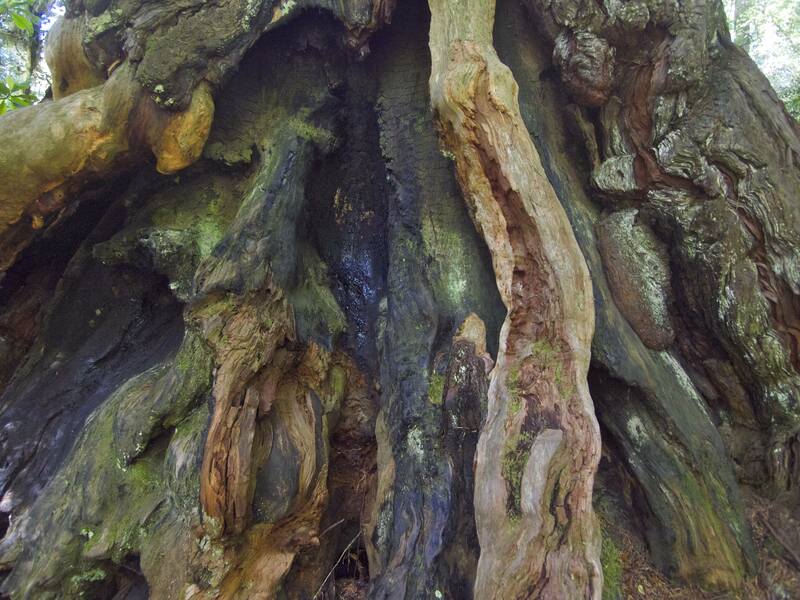 Many of these giants have stood for thousands of years, longer than most civilizations, and the passage of time is written on their bark, trunks and branches. In my quest for a few worthy portraits, the mighty Redwoods literally brought me to my knees. 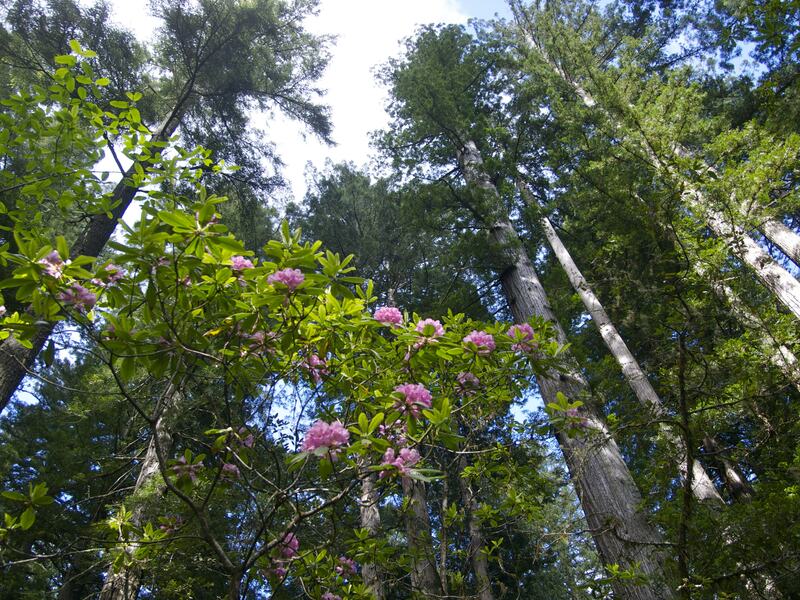 Ok, one skyward shot: Rhododendrons & Redwoods! This entry was posted in Hiking!, Photography, Road tripping!. Bookmark the permalink. Looks like you are heading north … if you are going to Washington State, then I strongly recommend you go check out the Enchanted Lakes in the central Cascades if you have not already been there. Pristine high alpine lakes. It’s exquisite. You have to reserve months ahead but there is a daily lottery and some people drop out creating openings. Relatively very few people ever see this area. I went to Yosemite when I was younger! I loved it and it’s so amazing. If I were to go back I’d take so many pictures even the classic looking up photo. ahaha! But there are no pictures of the massive pinecones!! I Love your life! 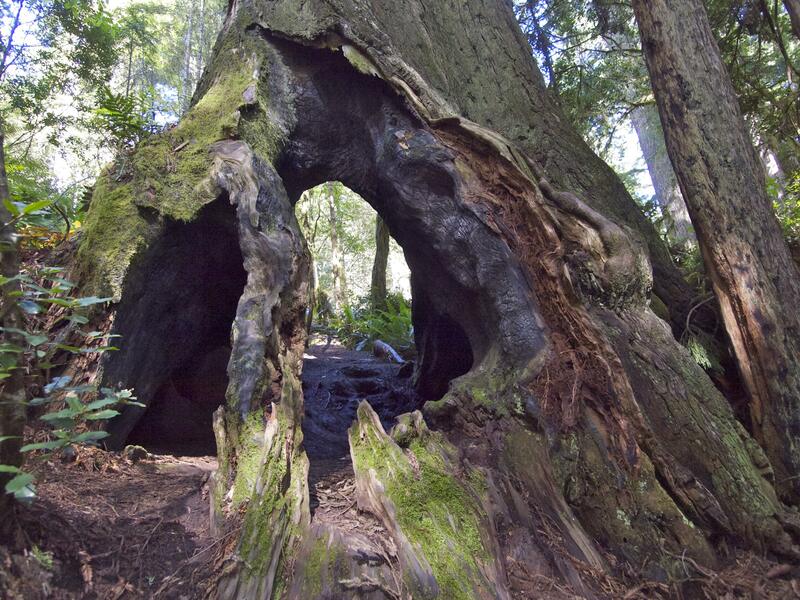 I remember being at the redwood forest as a kid with my parents, driving through the tree. Is it still there? Wow Mary,those Redwood trees are so majestic and your photo’s brilliant. The skyward shot says it all. Wonderful. I usually enjoy your blog entries for the stories. Today, I enjoyed the photos! You really outdid yourself! They’re wonderful! If, in the near future, you feel like you’re being followed….. please don’t be scared, it’s just me enjoying the trip! Wow those trees are incredible!! 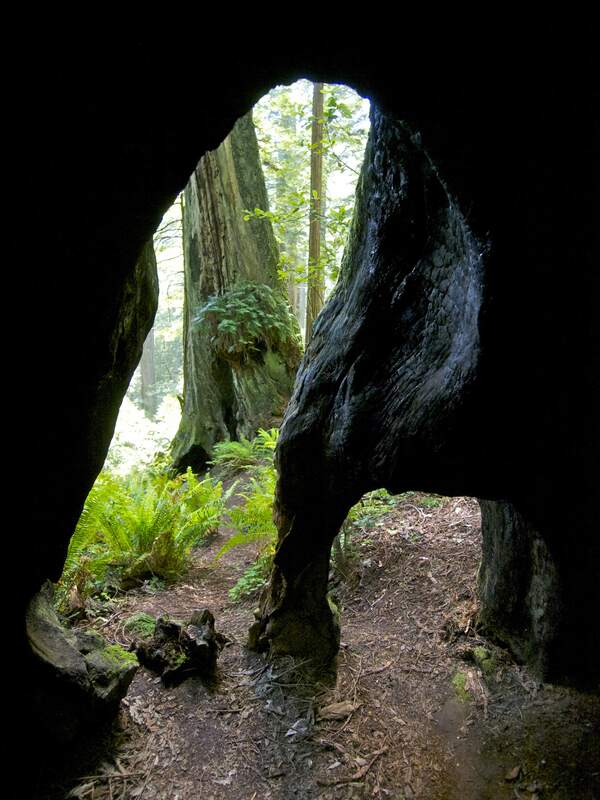 I grew up in the Redwoods of NorCal, climbing them, playing among them, (there’s no better fort than redwood stump) and to this day all it takes is a short stroll into the woods to feel “home” again.